I was born in 1970. My music started around 1980 when I've got my first guitar. I had a very good teacher who opened my eyes to good music like Keith Jarrett, John McLaughlin, Bireli Lagréne. I'm was only teenager when I saw these heroes on live concerts. That was a big influences to me. That age ('80s) was when I decided I wanna be musician. 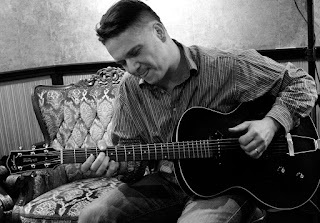 (That's funny that 30 years later I was playing with my on project in Lviv Jazzfestival, where was also playing John McLaughlin, and Scott Henderson too) There was two guitarist at the late 80s and early 90s who gave me deep expreinces: Allan Holdsworth, and Scott Henderson. That was my "fusion" age. In 1992 Jesus Christ called my name, and save my life forever. Since 92, all my life, my family, my music, etc., everything means to serve Jesus. He opened my eye, to understand what LIFE does it means! 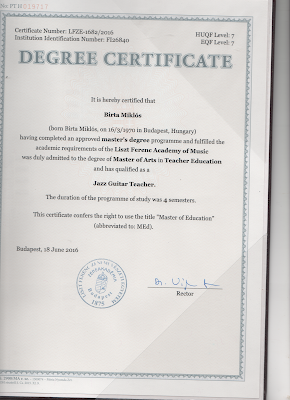 In 1996 Ive got my first diploma on Liszt Ferenc Music Academy like jazz guitar artist, performer and teacher. In 2016 (20 years later) Ive got the Master Degree in the same department. I'm teaching since 1990. From 2007 to till this time I'm full-time emplyees teacher on Kodolányi János University Collage Jazz Department, jazz guitar teacher. 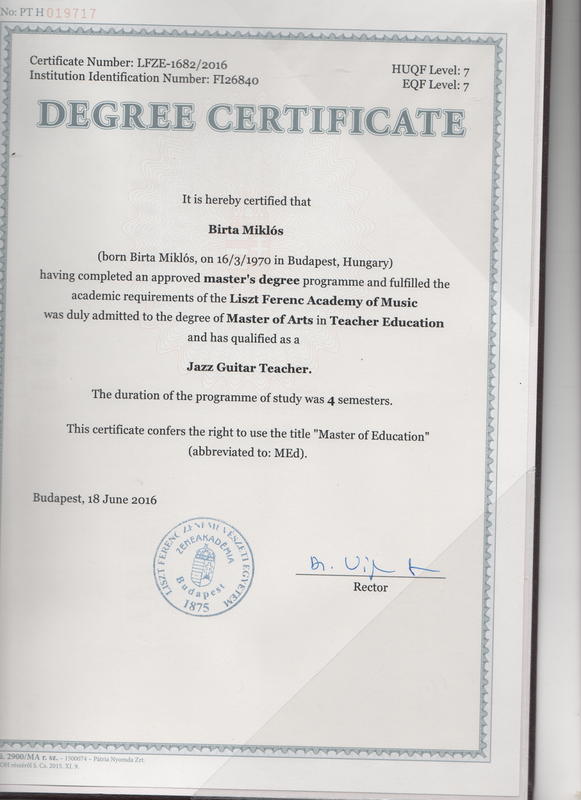 In 2004 I'm was teaching in Latvia Saulkrasti in a International Jazz Camp. I use very special tune on my instruments. I don't know anybody all around the world who would use that tune, than I use: This is the perfect 4th, from D.
I pulished a music theory e-book on my mother language (english version will come soon) with 189 mp3 and 44 exercises. I was playing on tour all around europe, and others like Ukraina, and U.S. in New York, and Florida. In 2009 I have made my own private guitar school, including scholarship students, summer camp, guitar race on the YouTube, etc. online teaching etc. But form 2015 I needed to put standby because of the other works. By the time I will start again. I'm a member of Budapest Jazz Orchestra, the most famous hungarian Big Band. This big band has many, many projects with great musicians, like Peter Erskine, Joe Lovano, Ken Peplowski, George Duke, Raul Midon and many others..
Nowdays I'm still working on my solo project. I have big plans with this. Professional portfolio will come soon.